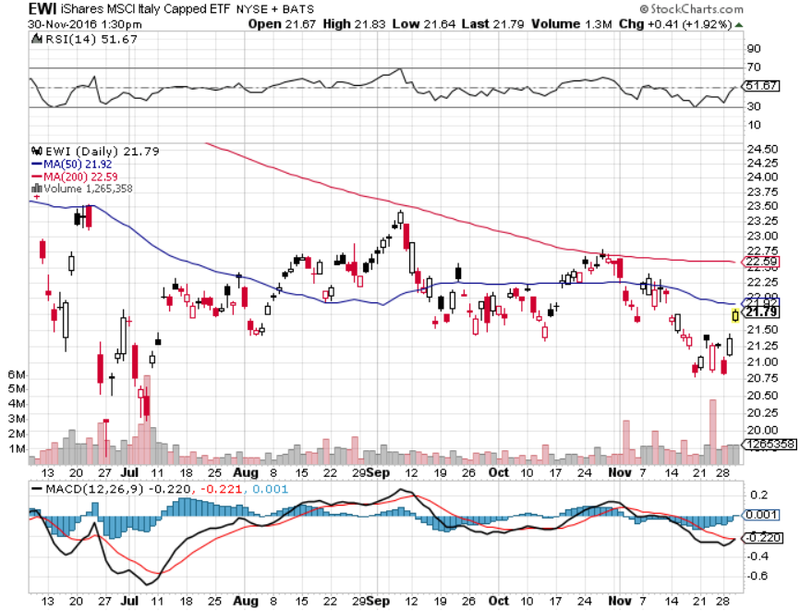 The iShares MSCI Italy Capped ETF (NYSEArca: EWI) climbed again Wednesday and the largest Italy ETF has been seeing increased ahead of a key referendum vote in the Eurozone’s third-largest economy. 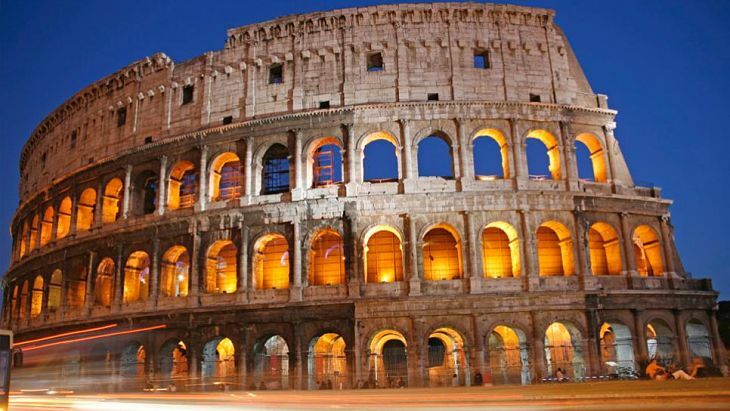 Italy’s fragile banking sector, the largest sector allocation in EWI, is in focus as global market participants fret about Brexit’s impact on Italy’s banks. The Italian government has been under pressure to calm concerns over its ailing banking system, which underperformed in the European Central Bank’s 2014 financial stress test and is holding €360 billion, or $410.5 billion, in bad loans. Recent bullishness in EWI “represents a reversal in sentiment; year-to-date flows remain negative, with $397.1 million leaving the fund, and it is down more than 20% thus far in 2016. Italian stocks have been particular pressured by the country’s banking industry this year, which has suffered due to its high levels of bad loans,” reports MarketWatch. Most polls suggested the Italian referendum, which is supported by Prime Minister Matteo Renzi, will likely be voted down. Renzi initially pledged to resign if the results don’t go his way, potentially leading to a caretaker government that could focus on reforming Italy’s electoral law, Richard Turnill, Global Investment Strategist for BlackRock, said in a note.